From the everyday phenomena of wind and clouds to the awesome, destructive power of lightning, tornados, and hurricanes, children can explore weather in detail with this fascinating science activity book. Throughout the text instructions for building weather-measuring tools-barometers, psychrometers, anemometers, wind vanes, rain gauges, and thermometers-allow the reader to assemble them into a working weather station. 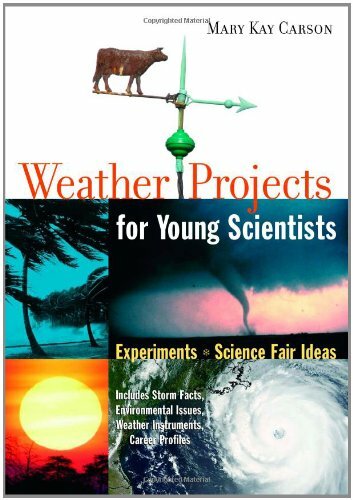 More than 40 weather projects are included, such as building a model of the water cycle, creating a tornado in a bottle, calculating dew point, and reading a weather map. Most of the experiments also include ideas for expanding them into full-fledged science fair projects. Weather-related environmental issues are also addressed, such as global climate change, ozone depletion, and acid rain, as well as profiles of scientists working in the field of meteorology.